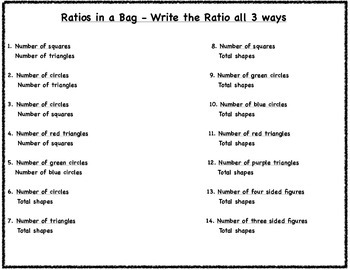 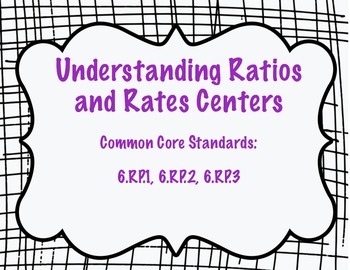 Use these 2 stations to help students understand the concept of ratios, rates and unit rates. 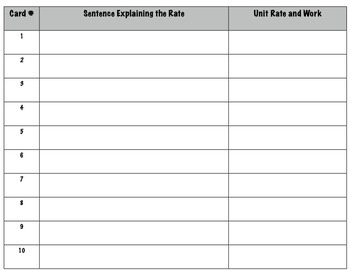 The students can write a sentence explaining the scenarios in words and then has them finding the unit rate. 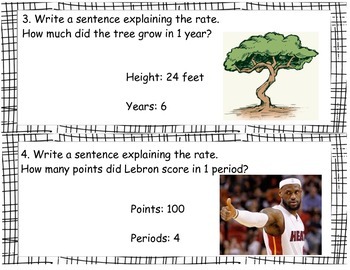 This can also be used as a review activity for the beginning of 7th grade.